So a few weeks ago, I did say that I would talk about some crochet books I got over the holidays. Unfortunately, school has been keeping me busy (what with us having to get a scientific paper out by the end of the month), but I'm suffering from an incredible sugar low and wouldn't be able to do any work anyway... Two nanaimo bars is too many nanaimo bars. So, my parents' cleaning lady gave me these books (more like booklets really) because she figured she would never use them. She crochets, but nothing terribly complicated I suppose. 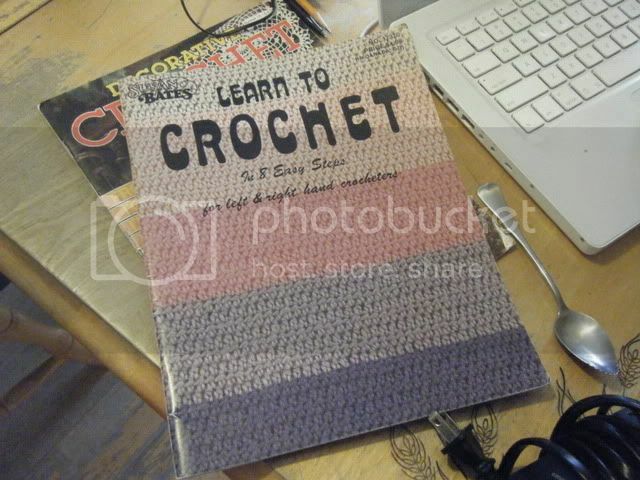 Book #1 is called "Learn to Crochet" by Susan Bates, I guess. It dates from 1979, and boy does it show! 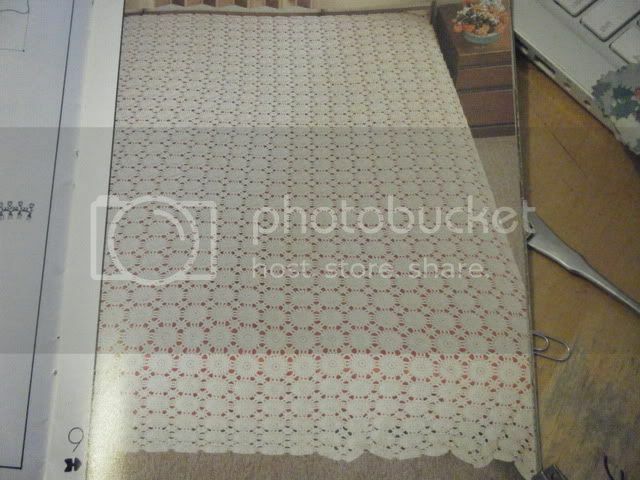 The patterns aren't terrible, I suppose. My main beef with them would be that they're all crocheted flat, when a better result could have been achieved in the round. 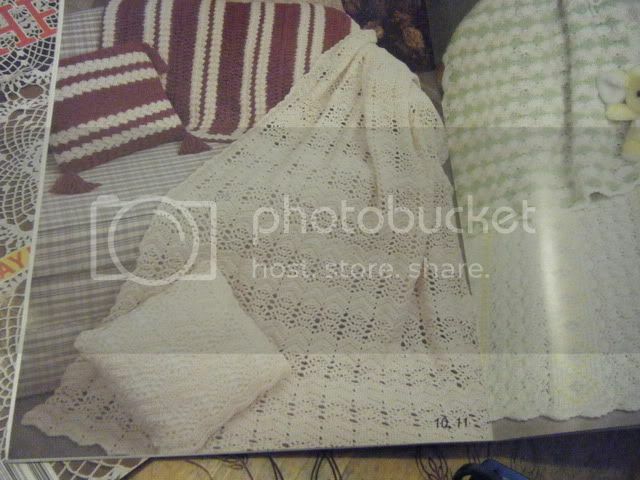 There are some very nice baby items, and I particularly liked the blankets. 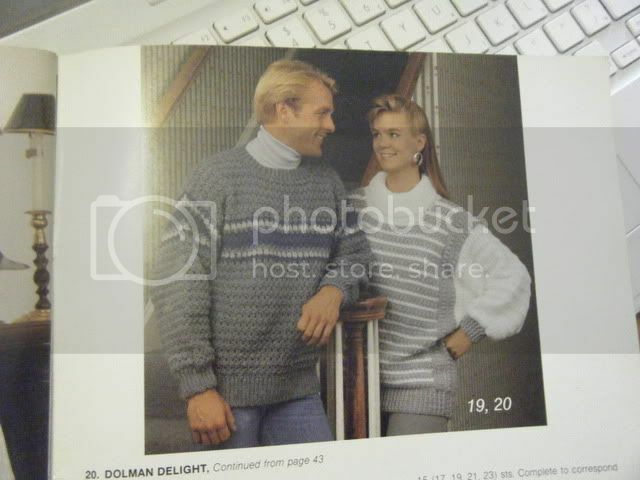 The sweaters, however, are really dated. I suppose the vests aren't too bad, but I couldn't see myself making them. Maybe to be ironic? The second book is a whole lot more fun. 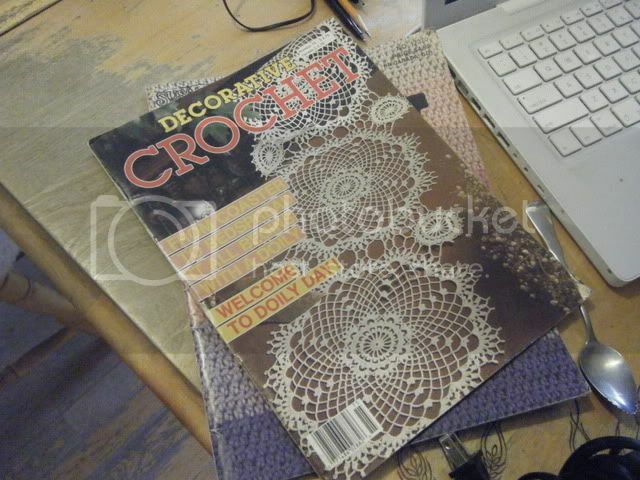 It's an issue of "Decorative Crochet Magazine", published in 1990, featuring doilies! 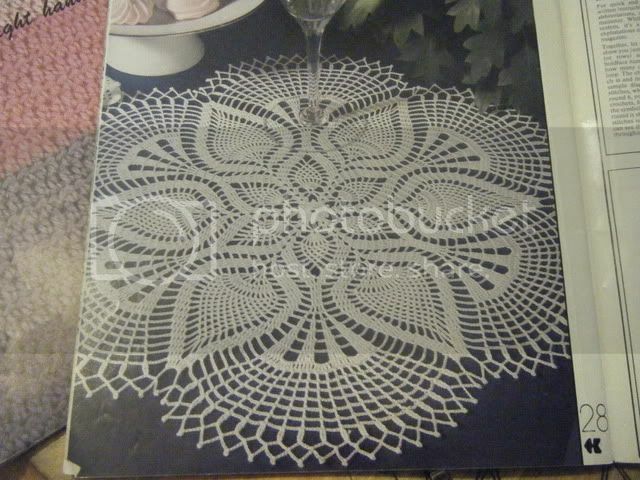 I don't know what it is, but I have a bit of an obsession with doilies. I can hardly justify making them (I only ever made one for my pet bamboo), but they're fascinating. 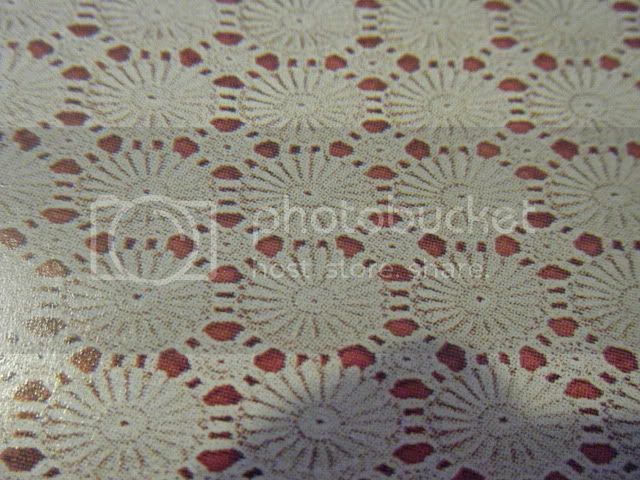 Maybe it's something about these circular intricate patterns with teeny tiny thread and hooks... Whatever it is, I can't get enough of them. 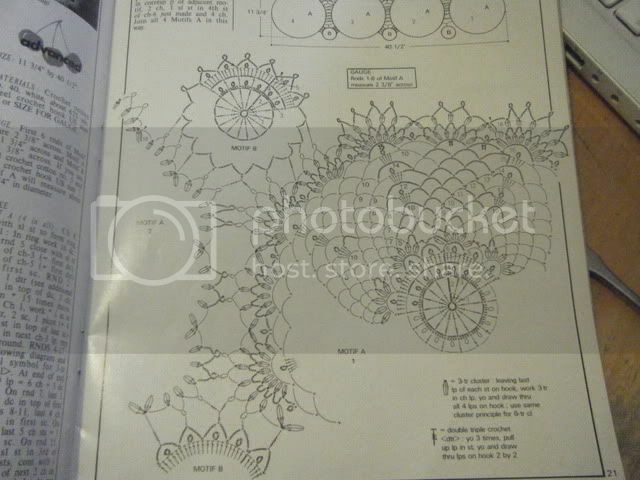 And look at those stitch diagrams! Maybe I'll get to a giant doily one of these days, but I have a long list of things to do before that (most of those I already have the yarn for). Currently, I'm working on another giant granny square blanket (it's already 5 feet across! ), this garter belt, and these socks. I knit most of this scarf, and then frogged it. It wasn't the fault of the pattern... It was just the wrong pattern for the yarn I was using... oh well. 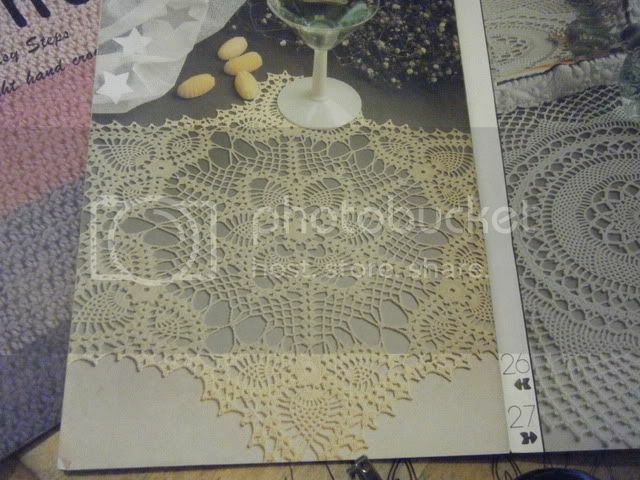 The doilies look really nice but the schemes... they scare the hell out of me - all the schemes do.